HERE'S A TASTY KIT that's coming up very soon. The new-tool de Havilland Mosquito FB VI looks a most exciting Christmas kit for World War II enthusiasts. Three sets of markings are provided in the new kit (below) for land, night, and sea operations. The component count for this kit is high - no less than 617 parts are in the box - which makes us somewhat doubtful of the build time quoted, just six flying hours. To make anything more than a bare build, you're going to have to put aside a bunch of winter evenings for this one - and quite right too, for the kit will be quite superb when assembled and finished. The 1:24 scale will make this beautiful bird a biggie when finished, with an assembled wingspan of some 688 mm (27 in) and length of 522 mm (20.6 in). Yum - just make sure you have the display space for it. "... June, 1942. The Mosquito FB Mk VI first takes to the skies. Powered by two Merlin engines driving three-bladed de Havilland hydromatic propellers, the Mosquito FB Mk VI, which was almost entirely made of wood, was incredibly fast and incredibly manoeuvrable, with top speeds reaching 384 mph! Due to its speed and manoeuvrability, the FB Mk VI was used by Coastal Command as an anti-shipping bomber towards the end of the war. They unleashed deadly attacks on coastal traffic and U-boats - all of which were heavily laden with anti-aircraft guns. Featuring regularly in film, TV and literature the De Havilland Mosquito FB Mk VI remains a classic and an iconic aircraft to add to your collection. 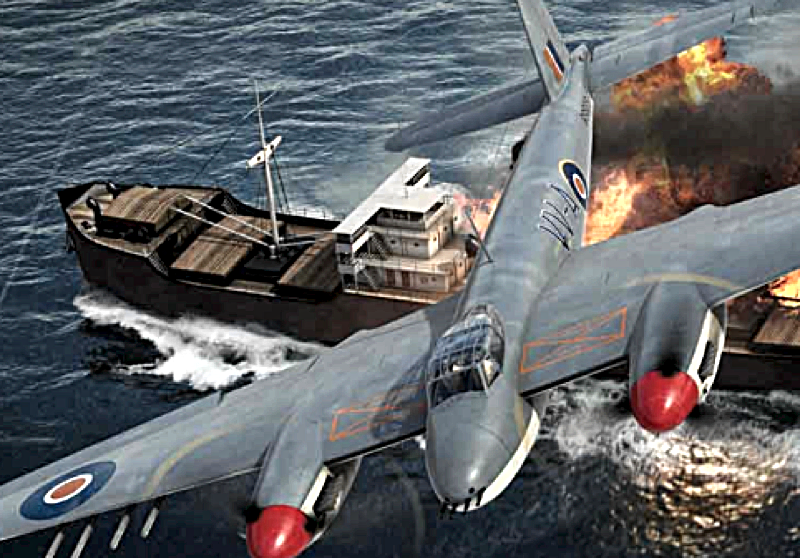 One of the most potent versions of the famous De Havilland Mosquito, the FB VI matched the high speed bombing capability of the early glass-nosed bomber variants with the cannon and machine gun punch of the fighters, creating a fast and efficient fighter bomber. Operating across Europe and the Far East, the Mosquito came to be highly respected by its adversaries." 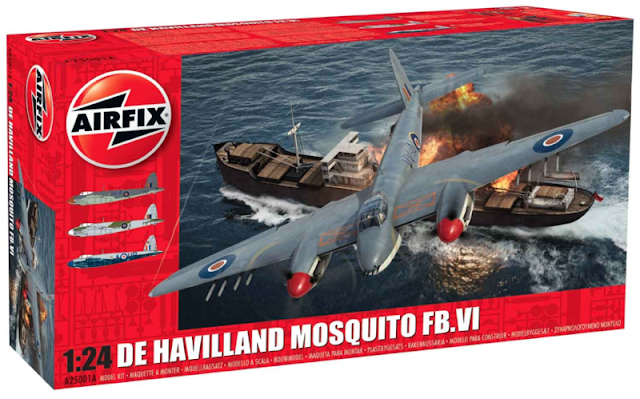 The 1:24 scale de Havilland Mosquito FB VI is available for pre-order at Amazon UK (below) and is available in other scale too, including Amazon US (below).